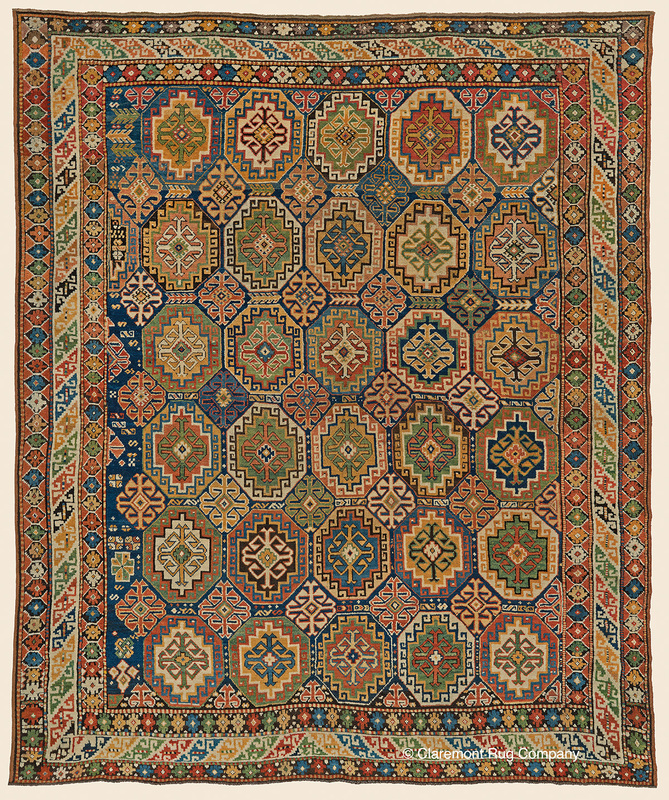 Search Our Inventory / All Rugs / 7&apos; 8" x 9&apos; 3"
7&apos; 8" x 9&apos; 3"
(High-Collectible) ("Best-of-the-Best Sold in 2017") An astounding tribal rug in never-seen proportions, the extraordinarily inventive pattern of this virtuoso Caucasian Daghestan reveals the woven equivalent of an elaborate mosaic. Every octagon is rendered in individually combined colors, a beloved Caucasian technique raised here to new and exhilarating heights, providing a startlingly beautiful collage from an immense palette. Here gold dominates the panoply of tonalities that appears in each �tile,� spectacularly offset by apple green and other hues. Scattered tiny motifs fill the open space on the left of the field capturing the Caucasian sense of artistic freedom.